To help dogs everywhere live longer, healthier lives, Morris Animal Foundation is now accepting proposals for Golden Retriever Lifetime Study collaborative projects. These projects will contribute to the understanding of nutritional, environmental, lifestyle and genetic risk factors for cancer and other diseases in dogs. Grant applications are due by Friday, Feb. 1, 2019. This special call is for access to data and/or samples, with the goal of generating data to identify priorities for further study within the Golden Retriever Lifetime Study. Please note that this call does not include funding. 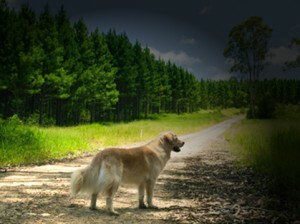 The Foundation’s Golden Retriever Lifetime Study is a groundbreaking, longitudinal study comprised of owner and veterinarian reported data as well as biological samples, including serum, whole blood, DNA, urine, feces, hair and toenails, collected annually from a cohort of privately owned dogs living throughout the lower 48 United States. The primary goal of the study is to identify the incidence of and risk factors for osteosarcoma, hemangiosarcoma, lymphoma and high-grade mast cell tumors. Secondary goals include understanding other disease processes common in golden retrievers and dogs in general, including conditions such as hypothyroidism, atopy, orthopedic problems and heart disease. Visit the Morris Animal Foundation grants application page to begin the application process. For questions, contact Kelly Diehl, DVM MS Dipl. ACVIM, Interim VP of Scientific Programs or Liz Nahon, DVM, Director of Scientific Grants Program. Posted by chesliepickett on Jan 14 2019. Filed under Health & Training. You can follow any responses to this entry through the RSS 2.0. Both comments and pings are currently closed.